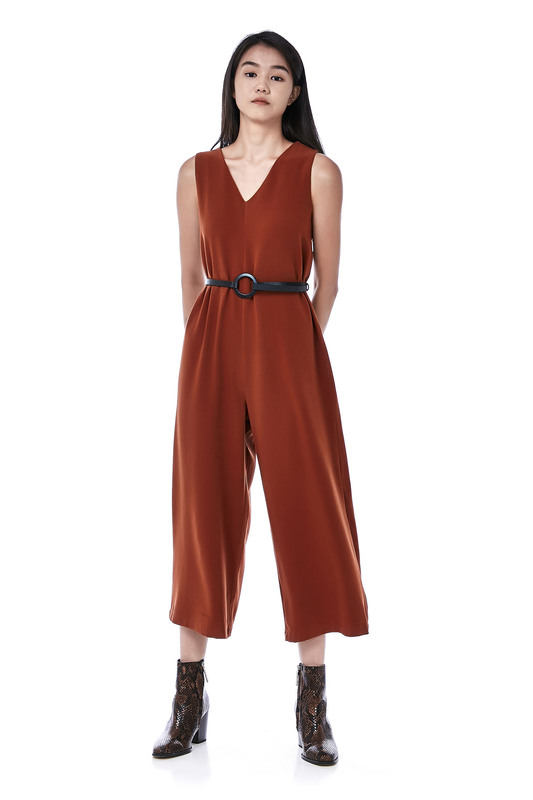 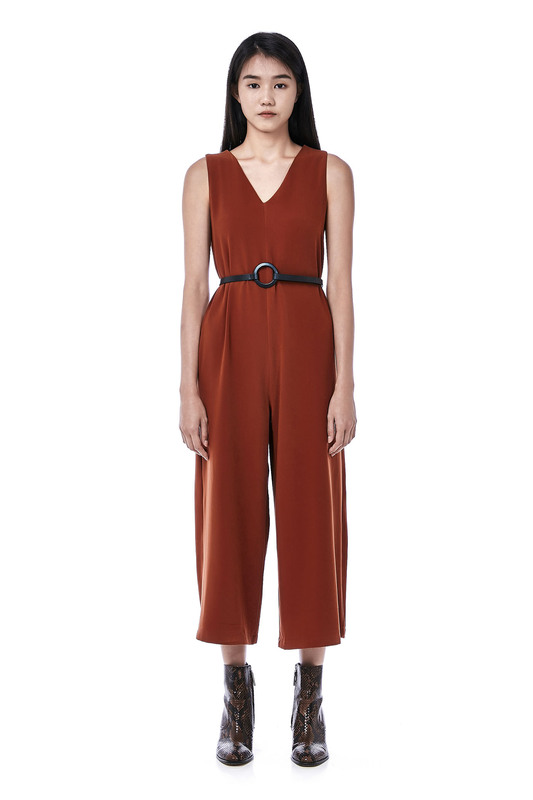 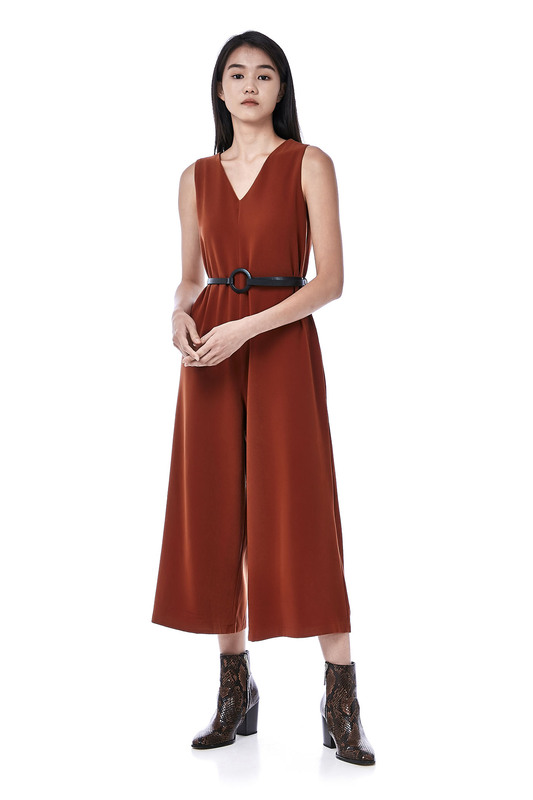 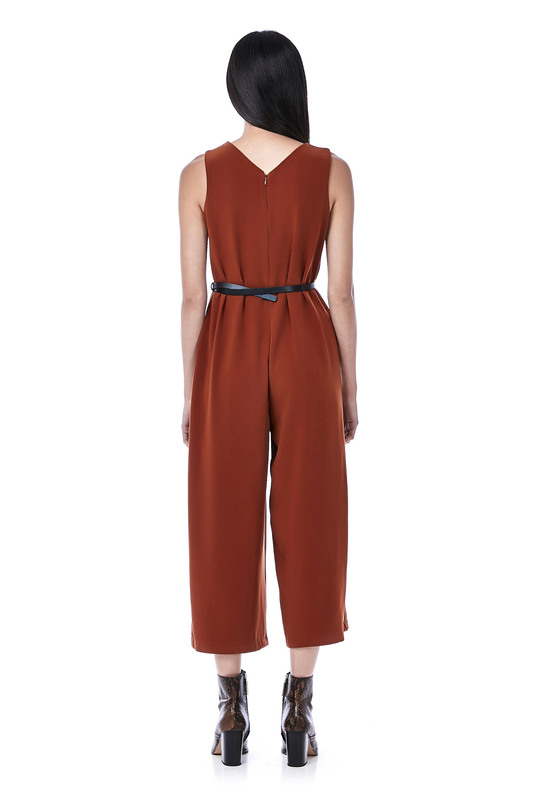 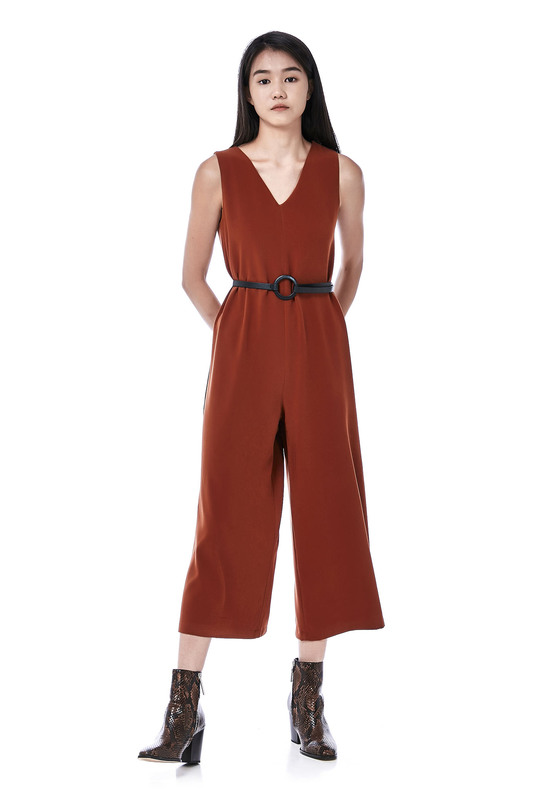 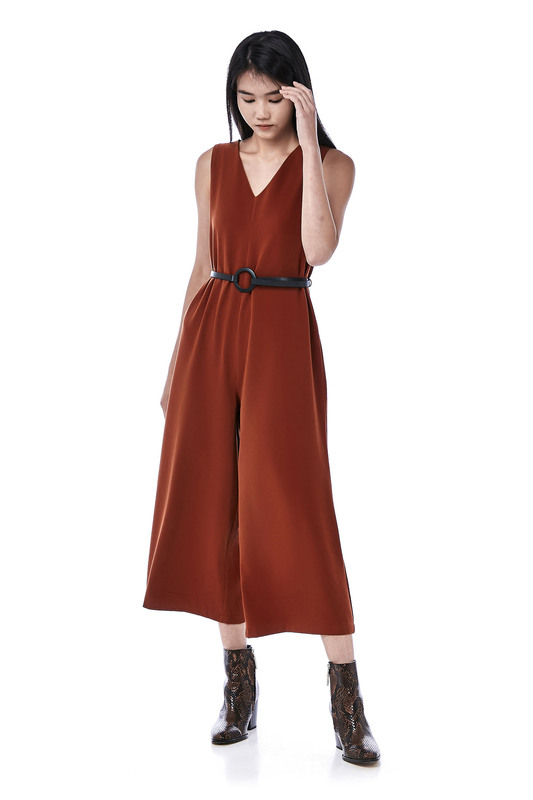 This sleeveless jumpsuit is made from cotton polyester. 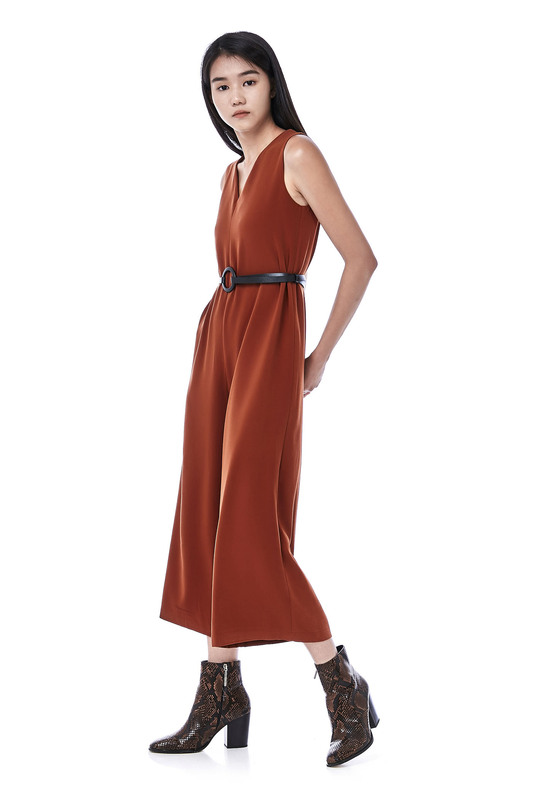 It has a v-neckline featuring wide legs and includes a removable belt at waist. 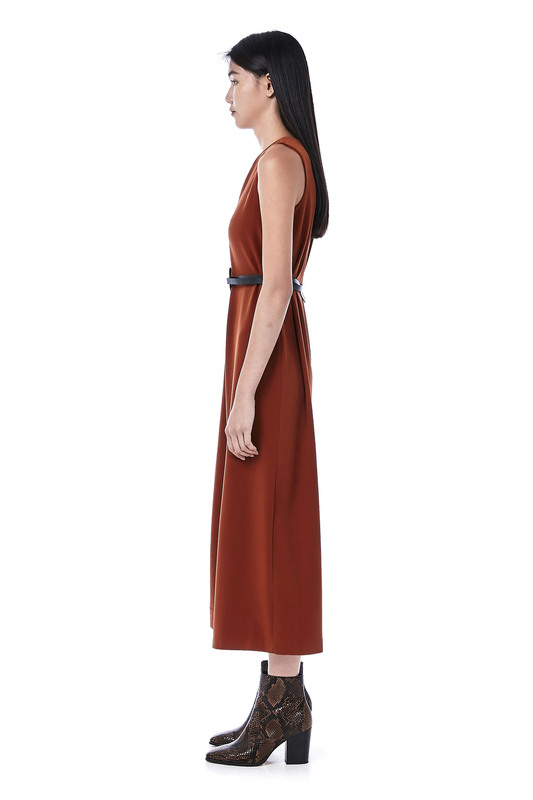 Zip closure on the back. 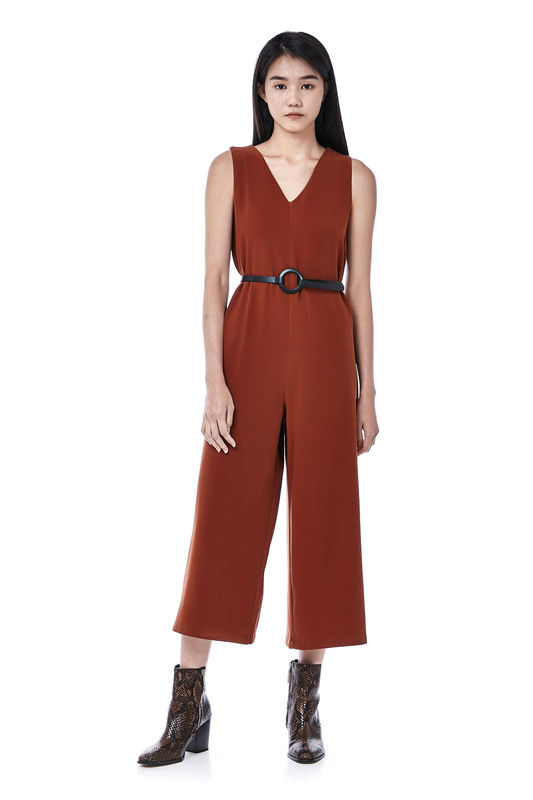 WAIST 37" 38" 39" 40"
RISE 11" 11" 12" 12"
THIGH 24" 25" 26" 27"
LENGTH 48.5" 49" 49" 49.5"